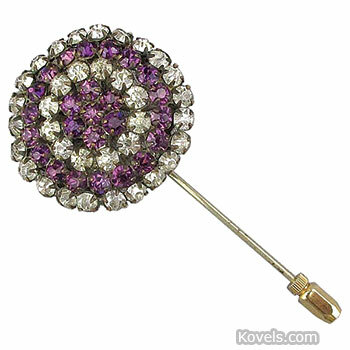 Hatpin collectors search for pins popular from 1860 to 1920. 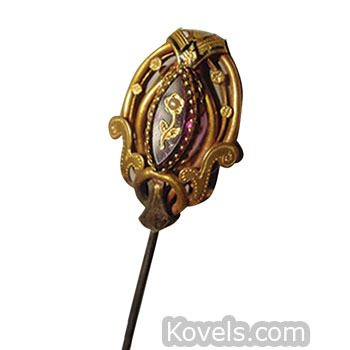 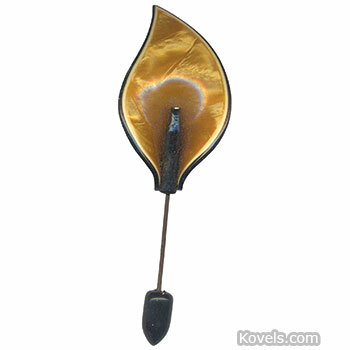 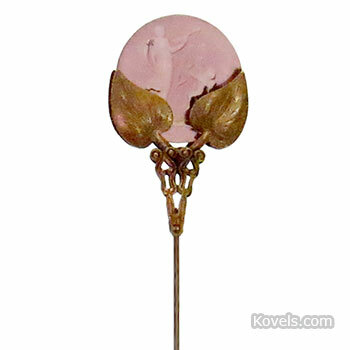 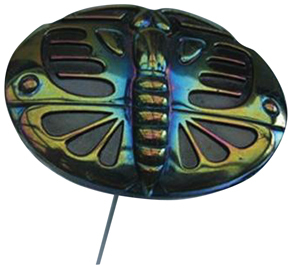 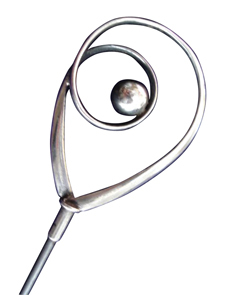 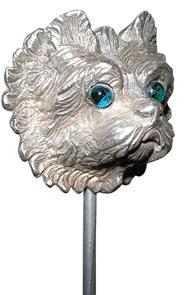 The British jeweler Charles Horner was a leader in good quality, mass-produced hatpins about 1900. 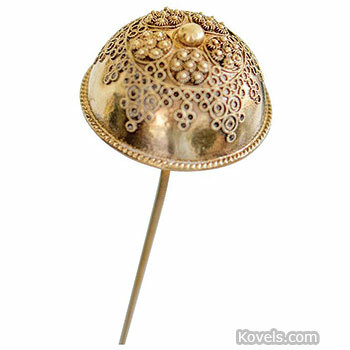 The long pin, often over four inches, was used to hold the hat in place on the hair. 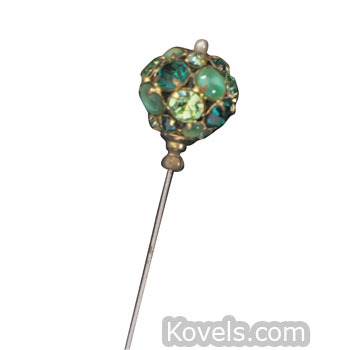 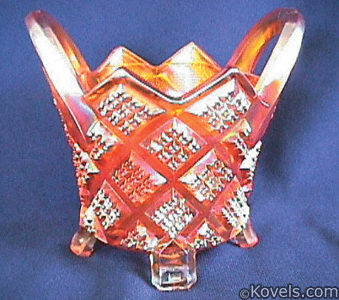 The tops of the pins were made of all materials, from solid gold and real gemstones to ceramics and glass. 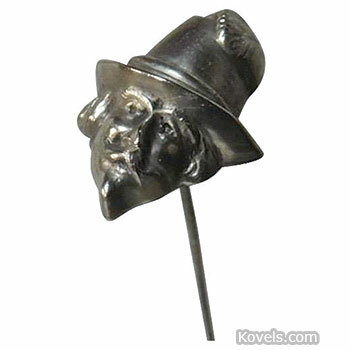 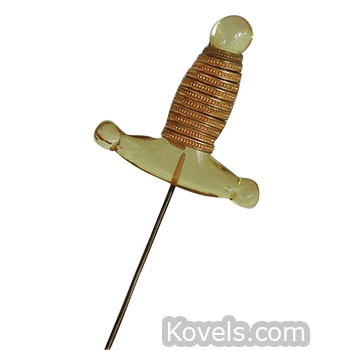 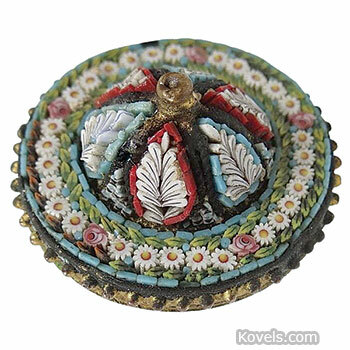 Be careful to buy original hatpins and not recent pieces made by altering old buttons.